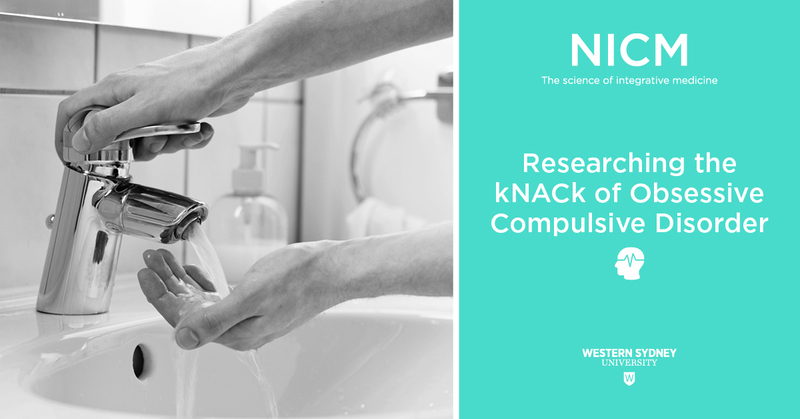 NICM researchers are investigating the effects of N-acteylcysteine (NAC) in the treatment of Obsessive-Compulsive Disorder (OCD), which affects 1.9 per cent (465,000) of the Australian population. NAC is an amino acid supplement which has anti-inflammatory and anti-oxidant properties and also influences various neurochemicals within the brain. Previous studies suggest these effects may be beneficial for reducing obsessive and compulsive behaviours. NICM researchers aim to determine the therapeutic benefits of including NAC supplements in the treatment of OCD symptoms. This study is part of a wider collaboration between researchers from NICM, Western Sydney University, The Melbourne Clinic, The University of Melbourne and University of Queensland. Recruitment is now underway in NSW at Western Sydney University's Westmead campus. Men and women diagnosed with OCD aged 18-70 years. Two to four tablets morning and night. Travel to study centre at Western Sydney University, Westmead, NSW. You will receive complimentary NAC at the end of the six-month study. You will be reimbursed up to $140 for your travel expenses. You will be helping to advance medical research, which could assist in the development of effective treatments in the future for people with OCD. To participate in this clinical trial, complete the online questionnaire (opens in a new window) and a member of the research team will be in contact with you in a week with further details. If you have any questions about this study please email NICM study research assistant Bec Jordan at b.jordan@westernsydney.edu.au. This study is supported by the Australian National Health and Medical Research Council (Project Grant No.APP1104460). This clinical trial has been approved by Western Sydney University Human Research Ethics Committee (Approval Number: H12181), The Melbourne Clinic Research Ethics Committee (Approval Number: 279) and The University of Queensland Human Research Ethics Committee (Approval Number: 2016001720).